Iconic children's entertainers Sharon Hampson and Bram Morrison are embarking on their farewell tour after four decades of entertaining kids around the world. They drop by the q studio for a very special performance and to reflect on their legacy and memories of founding member Lois Lilienstein. Iconic children's entertainers Sharon Hampson and Bram Morrison are embarking on their farewell tour after four decades of entertaining kids around the world. 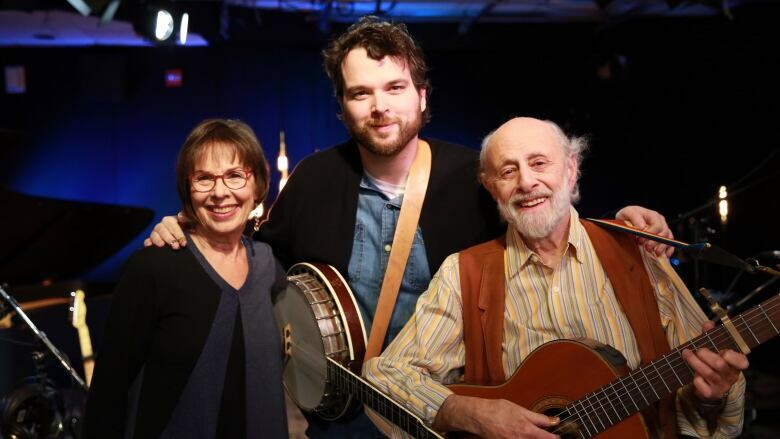 They drop by the q studio for a very special performance with Tom Power and to reflect on their legacy and memories of founding member Lois Lilienstein. Click listen near the top of this page to hear the full interview with Sharon and Bram. How much power do pop music superfans have today?